Ask DST #365: Batman, Star Trek, Ghostbusters & More! Yassssss! We did it! Diamond Select Toys president DSTChuck has official written 365 Ask DST columns, meaning that if you start at the beginning, you can read one for every day of the year! We’re celebrating this milestone with a double-sized Miscellaneous Ask DST, featuring questions about Star Trek, Gotham, Ghostbusters, the Batman Classic TV Series, Batman Beyond, Battlestar Galactica, Stephen King’s It, Plants vs. Zombie, Adventure Time, Buck Rogers and more! And we don’t even make half of those things! Read on, and if you don’t see your question answered, submit it in the drop-down form above. Or e-mail DSTChuck! 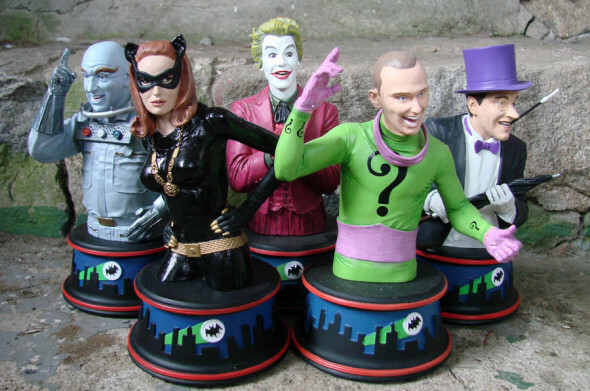 Are you going to release any more Batman 1966 Busts? DSTChuck: Yes, we have several new concepts approved and will work on them for release on 2018! We hope the fans will like them. Any chance of making more phasers? Sadly, your TWOK phaser has been out of print for a while (were they ever even made?). It would look great in my collection, but I can’t find them anywhere. – the assault phaser from ST V and VI (the best looking phasers, IMO). With Discovery coming out soon, I would think you would be all over this. DSTChuck: Yes, we made the TWoK Phaser, and Art Asylum made the Enterprise Phase Pistol, back when the show was on the air! We are working on the TNG phaser, and once we have that ready to do we’ll look at what might come next. What’s next for your Kevin Smith related items? So far, we have Clerks, Mallrats, and Jay and Silent Bob Strike Back. But what about Dogma? Clerks 2? With Jay and Silent Bob Reboot coming out next year possibly, what about merchandise for that? DSTChuck: We for sure want to do more stuff with Kevin! We’re just waiting to see how his filming schedule works out and the movie distribution lines up. Hello DST, just wanted to say I’m loving the releases so far. Keep up the great work. I was wondering if you guys ever considered making Adventure Time Minimates? There’s not a definitive line for this show and with its broad appeal I think you guys would absolutely nail it. The simplistic and colorful style would fit well, especially how you guys did wacky designs with Nightmare Before Christmas. I know the Spongebob line ended prematurely, but just wondered if you guys would give a cartoon show another shot? DSTChuck: We have not ruled out doing cartoon-based Minimates, but we are not looking at any at this time, including Adventure Time. Hi, I’m a big fan of your work on action figures I think you guys should do a horror movies line, especially a Jason Vhoorees from Friday the 13th. You’d kill it! Thank you and have a great day! DSTChuck: It was lots of fun to do the horror figures, and we’d love to get back to them, but right now we do not have any plans for Friday the 13th. Sorry. DSTChuck: Hopefully, Series 4 sells and the ratings for the show climb with the new day it will be airing – we’d LOVE to continue the line. I think your line of select figures for the Garden Warfare series have been fantastic so far, will we be seeing the rest of the characters from GW2 getting a release? Also, will you even branch out into the Heroes mobile game? Many thanks. DSTChuck: I am sorry, but as much as we would like to we are not going to be producing any new Garden Warfare figures. I’m a big fan on the Universal Monsters, and wanted to know if (with the release of The Mummy) you have plans to make more Universal Monster figures some point in the future? DSTChuck: With the emergence of the Dark Universe, Universal did not want to continue with the classic monsters so we need to wait for them. It’s that time again, when I periodically pester in case there’s been a change in the wind direction: any chance of 70’s Buck Rogers and Battlestar Galactica realistic 7-inch figures? I can see them in my head and they’re amazing! Thanks for taking the time to answer so many questions BTW, not many companies do. DSTChuck: I would LOVE to do both of those, but for now we have talked to the sales folks and buyers, and they have not seen enough interest out there. But we’ll keep trying! Please do an electronic Jupiter 2 from Lost in Space! While we’re at it how about doing an Irwin Allen line and do the Seaview from Voyage to the Bottom of the Sea, a Spindrift from Land of the Giants? DSTChuck: We have considered the Jupiter 2, and from time to time it comes up in planning talks, but for right now it’s not planned. Hi Chuck, is there any hope in the future for Pirates figures from you guys? Those looked amazing and this is so disappointing. Perhaps exclusives? Thanks for all that you do! DSTChuck: There are no plans at this time, but we have not given up hope. We may try again at a later date. Hello! I will always purchase every Star Trek ship or replica item that you produce, they are amazing. I have a suggestion for an easy prop: a Star Trek III Klingon disruptor “RIFLE”. You already manufacture the disruptor, so the CBS rights should not be difficult to deal with, you already have the electronics, and therefore all you would need is the rifle stock extension! DSTChuck: I am sorry, but at this time we do not have any plans for a Rifle. Hi DST, thanks for taking time for another Q&A. Huge fan of the Ghostbusters Select series. Very excited to complete the rooftop next week. 1. With the build a fire station series 6-10, while I know the selection is not locked yet, is the plan to only focus on Ghostbusters II? I’m asking because I, like many others, am interested in see the 2016 Ghostbusters team in the Select series and it seems like a good opportunity to include the 4 female members in the later waves. 2. I have a special fondness for glow in the dark and transparent toys. I feel like the Ghostbusters line is the perfect opportunity to apply a glow in the dark paint or transparent parts for a ghost. Has it been considered to perhaps apply glow in the dark paint for any slimed, marshmallow paint applications? Also, transparent parts for a ghost? DSTChuck: 1. We do not currently have the rights to action figures for the 2016 movie, so series 6-10 will focus on Ghostbusters 2 and The Real Ghostbusters. After that, time will tell. 2. We did do a Glow-in-the-Dark Slimer variant for GameStop, and are looking at translucent parts for an upcoming ghost, so more like that are possible. Hello, any chance of action figures from the new “IT” movie. At least a Pennywise figure? DSTChuck: The new movie looks GREAT, but sorry we have no plans for product at this time. Is there a chance of seeing a toy of the U.S.S. Enterprise NCC-1701-C? Last, please make a toy of the beautiful Nebula Class Starship U.S.S. Farragut seen at the end of the movie Star Trek Generations. Out of all the ships I would like to see you guys do, it would be my favorite U.S.S. Voyager, and the Nebula Class. Any chance to see either one? Also, a really nice toy of space station Deep Space Nine. DSTChuck: Enterprise C is on our short list of ships we would consider after the Reliant. Voyager and Defiant are on the short list, also. I don’t think we’ve considered the Farragut, though. Hi, I really like your action figures. I think it would be cool if you made 7″ Caddyshack movie action figures, similar to the “Ghostbusters” and “Mallrats” action figures you made. 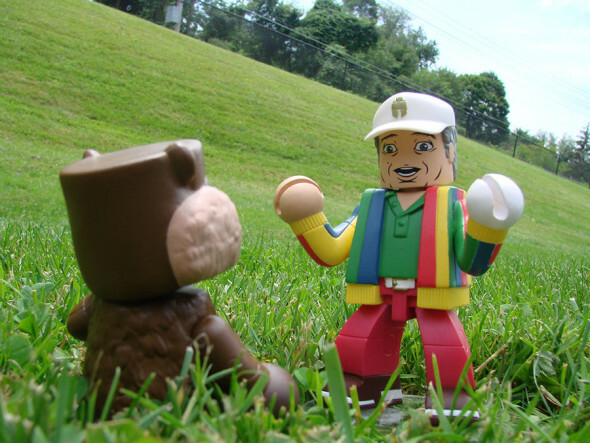 DSTChuck: Right now, it is not possible for us to do action figures from Caddyshack, but we do have Vinimates vinyl figures out as we speak, and there are Minimates mini-figures in development. What is the status of the ‘army-men’ style mini Ghostbusters figures that were revealed at the 2015 NYC Toy Fair? there were “Ghostbusters vs Ghosts” figures that come in a bag of 35 or the glow-in-the-dark “Ghosts in Glowing Slime” figures that come in a barrel of slime. Were they cancelled, or delayed? DSTChuck: We were asked by Sony to not release those, so for now they are canceled, but maybe we’ll get lucky in the future. Just got the Bookworm and Eartha Kitt Catwoman variation. Both are excellent but what’s next? Are any more busts scheduled? I was hoping we might at least see Shame, Puzzler, the Great Chandell (Liberace himself), Archer and Minstrel. 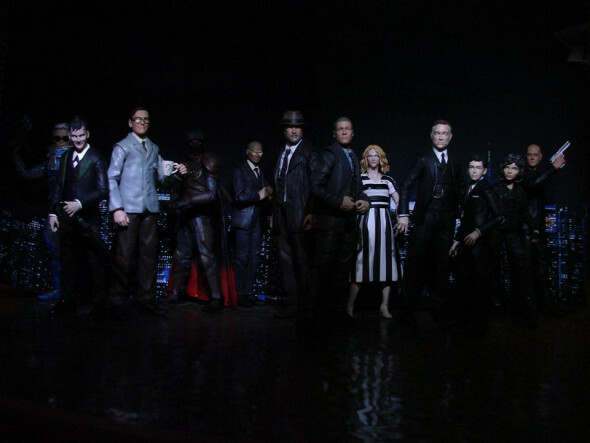 DSTChuck: I would have to check what WB allows to see if those are even possible, but I will say the sales for the later villains have seen a pretty big drop-off, so we’re not sure how many more are viable. Will you be making an electronic robot figure of Robby the Robot from Forbidden Planet? DSTChuck: We would very much like to. I was wondering if you guys ever considered making an anime license? I know it could be risky but I think it would be cool to see what you guys could do with it. I’m leaning more toward the popular ones like Dragonball, Naruto, Attack on Titan or One Punch Man. I know licenses like this are probably hard to get, just wanted to know you guys’ thoughts on it. Thanks for your time. DSTChuck: We have not had good luck with Anime in the past, so for now I do not expect so. Hello there! 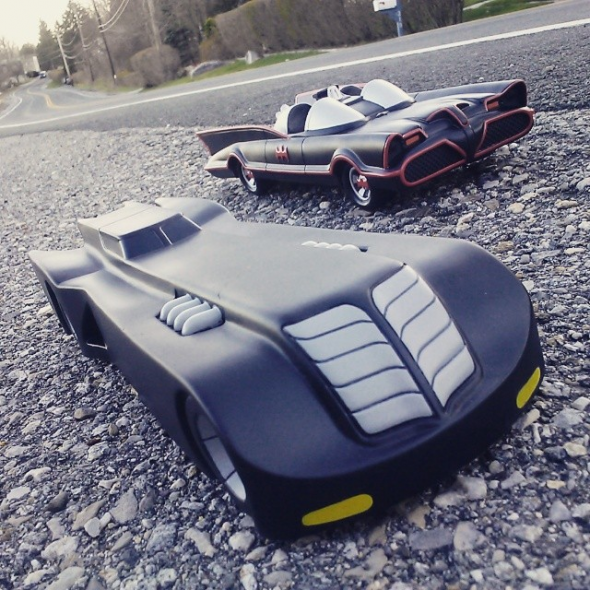 Are you guys going to make the New Batman Adventures Batmobile and the Batman Beyond Batmobile in coin bank versions? Like you so awesomely did with the BTAS Batmobile! I would be so, so happy! Especially with the Beyond Batmobile!!! DSTChuck: We have had SOME talk about doing more Batmobile banks, or even a cookie jar but we’ll have to see. Hello again, two quick questions… I was wondering if you still have the rights to the BSG franchise and if so, do you think it would be possible to get a figure based on the Richard Hatch character Tom Zarek? I think It would be a cool tribute. Second, I’m still holding out hope for a limited release of the Original Star Trek series figures for Rand and Chapel we saw a ways back at the NY Fair. I’ve seen many requests on here from fans, do you think it’s something you might do in the Select’s Line? DSTChuck: I am sorry, we do not currently have the rights to any of the BSG incarnations. Future Trek figures will be in the Select format, but I do not know who we will do after the Borg. Will Z Mech, Citron or any new figures be released? I know there is a Super Brainz, Corn and Rose. Is that all? Thanks so much, and we just love your figures!! DSTChuck: As PopCap is looking at how they want to position the upcoming games, we are not going to release any more figures. Glad you like what we have done, it’s been a very fun line to work on. If you don’t see your question answered, submit it in the drop-down form above. Or e-mail DSTChuck! Next Up: Ask DST #366: Minimates! 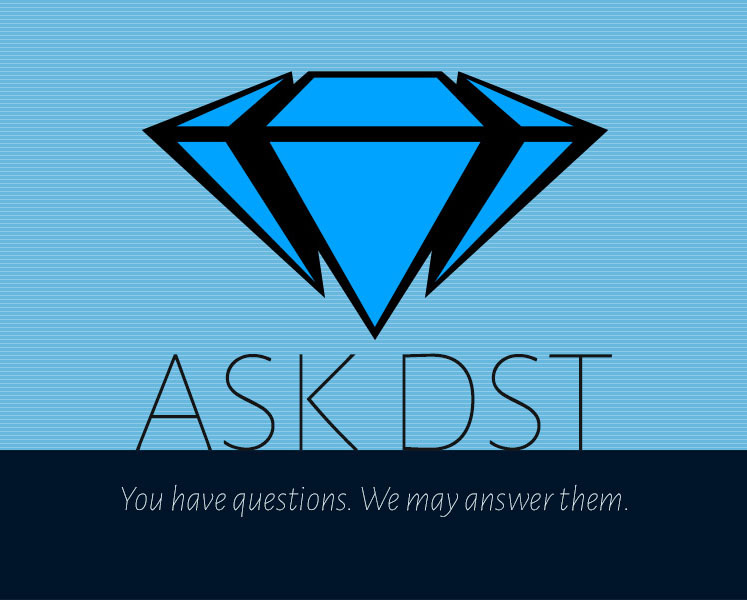 Ask DST #353: DC, Ghostbusters, Star Trek and Gotham!